The New Forest Players have been presenting successful amateur theatre for over 90 years. Such longevity is testament to their ability to continually deliver quality theatre that local people want to see and enjoy. 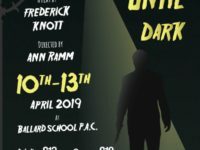 Their latest production, Over the River and through the Woods, at the first rate Ballard School Performing Arts Centre in New Milton, gets 2019 off to a cracking start! Over the River and through the Woods is a poignant and funny situation comedy – written by multi award winning New Jersey born and raised, Joe DiPetro. The title of the play is derived from a nineteenth century children’s poem (which became a song) that celebrates Thanksgiving in New England, which begins: “Over the river, and through the wood, to Grandfather’s House we go” and proceeds to describe the importance of family – which is also the theme running through the play. The play takes place in the home of a stereotypical Italian-American family in New Jersey.The lead character is unmarried, career marketing executive Nick Cristano, who religiously visits his two sets of grandparents every Sunday for a traditional Italian meal. The grandparents live within a few doors of each other. Their raison d’etre is encapsulated in the three “Fs” – family, faith and food, underpinned by the principle of tengo famiglia – which translates to English as “I support the family”, but in Italian it means so much more! Nick unexpectedly visits them one Thursday and announces he has been offered promotion to a new job in Seattle. This is devastating news for the grandparents as Nick is their last remaining relative living in New Jersey – the rest of the family having already moved to Florida and beyond. They immediately decide they have to do something to stop this happening and hatch a plan which involves inviting unattached and charming Caitlin O’Hare to dinner on the following Sunday. Their hope is that she will be the woman of Nick’s dreams who will convince him he should stay. The dinner party does not go well, with Caitlin being put off Nick by his acerbic rebuffs to his grandparents’ attempts at matchmaking. The grandparents’ interferences and Caitlin’s rejection of Nick leads to him having a panic attack and hospitalisation, but also ultimately persuades him to take the job. However, in coming to his decision Nick wrestles with his conscience and the guilt of abandoning his grandparents. He also learns about the sacrifices his grandparents have made for their families and the love he personally has for them. In essence this is a touching story dealing with the final disintegration of the family of first generation American immigrants, and their coming to terms with the realities of what a better life in America ultimately means for them in their old age. Needless to say it’s not necessary to be Italian for the play to have an impact – the story is universal and, as told in the play, is capable of eliciting an emotional tear or two. 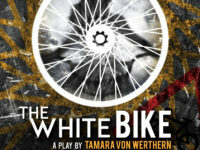 The play is presented in two quite distinct parts. The first act is fast paced and full of quick fire funny lines and quick witted humour. 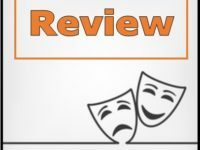 The second act is more dramatic and thought provoking with a fair degree of pathos, yet a well balanced sense of humour continues through to the end. It is a challenging script with considerable dialogue between the characters that requires realistic Italian-American accents for the interactions to work, which can be a distraction when it falters or the phrasing doesn’t quite work. Ieuan Luker, playing Nick Christano, and Chris Davis, playing grandfather Frank Gianelli, warrant particular mentions in this respect as they both pretty much nailed it. Zoe Keith, playing Caitlin O’Hare, also delivered a naturally sounding Irish lilt. Overall the entire cast delivered good acting performances with hardly any first night slip ups in lines, which enabled the audience to become fully engaged with the story from the beginning to the conclusion. Wendy Beaumont, Alan Whitty, Christine Battison and already mentioned Chris Davis were convincing as the four grandparents, as they each in turn serve up their individual life stories between the various courses of food which is in constant supply. Although the smaller part, Zoe Keith impresses in her role as the delightful Caitlin O’Hare. Ieuan Luker not only looks the part of a 29 year old Italian American, but his performance aroused a good deal of empathy for his predicament and swayed the audience into an acceptance of the need for him to make the move. Set designer David Luker and the Set construction team led by Richard White have built an impressive set, right down to each strategically placed vase, picture and lampshade, which transports the audience to a familiar American sitcom setting. The sound and lighting are well synchronised, with the background music of American standards, featuring Frank Sinatra, Dean Martin amongst others of that ilk, creating just the right atmosphere and adds to the enjoyment of the occasion. Indeed the whole production crew has produced yet another fine example of quality amateur theatre in the New Forest Players’ tradition. 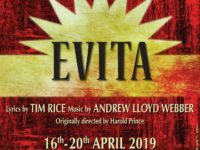 Apparently this is David Luker’s Directorial debut of a main production, and on this showing supporters of New Forest Players can certainly look forward to his future productions. Over the River and through the Woods runs until 23rd of February and is well worth seeing if you can.